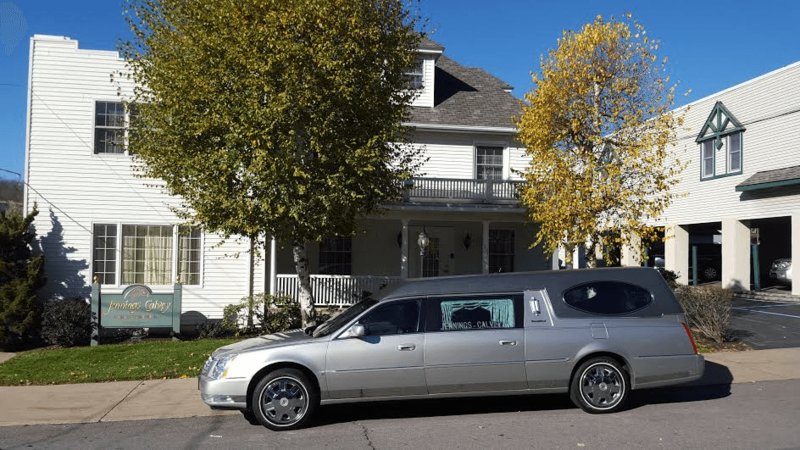 Obituary for Alice Holmes | Jennings Calvey Funeral and Cremation Services, Inc.
Alice Holmes, 78, of Clarks Green, passed away peacefully at home Friday, June 8, 2012 after a lengthy illness, surrounded by her loving family at her bedside. Born Alice Corcoran in 1933, in the Green Ridge section of Scranton , she was the daughter of the late Dr. William J. and Mabel Kelly Corcoran. She graduated from Marywood Seminary in Dunmore in 1950. In 1954, she graduated with a Bachelor of Arts degree from Rosemont College in Philadelphia at age 20. A competitive tennis player in her youth, Alice was Junior Singles Champion at Pocono Manor. Also an accomplished pianist, she remained a music lover her whole life, serving as the Membership Coordinator of the Community Concerts Association of Scranton . Meeting internationally famous pianist Van Cliburn after a concert in 1971 and the accompanying photograph in the following day's newspaper brought her great joy. She was the beloved wife of her husband of 53 years, Dr. John J. F. Holmes, formerly of Archbald. 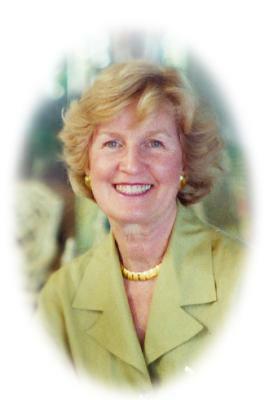 Along with her loving marriage, her greatest source of happiness and satisfaction was the raising of her five sons a�" John Jr. of Clarks Green; William and wife, Kelly of Chatham, N.J.; James and wife, Anna Marie of Los Angeles, Calif.; Larry and wife, Priscilla of Ardmore; and Michael of Lancaster. Alice began her professional career as a educator at North Scranton High School before moving to New York City in 1958 to work as an actuary at an insurance company. While in New York , she took graduate courses in French literature and history at Hunter College . She left New York to return to the Scranton area to be married and raise her family. After her sons were grown, she returned to teaching, joining the faculty of Our Lady of Peace School , Clarks Green, from 1982 to 1989. In 1990, she joined her beloved husband at his medical office, working by his side until their retirement in 2001. A devout Roman Catholic, she held a lifelong devotion to the Blessed Mother. Especially dear to her heart was the Adoration of the Blessed Sacrament at Padre Pio Chapel in Dalton . Alice was a longtime and founding volunteer at the St. Francis Kitchen in Scranton, ultimately being recognized by the organization for her services. Alice will be always remembered for her tremendous warmth and love, her boundless optimism, as well as her unceasing interest in the lives and welfare of others. Loving to entertain at home, visitors to the house in Clarks Green were sure to always find an open door and open heart. For more than 40 years, Alice entertained usually 40 or more members of the family for Thanksgiving dinner. Those dinners are cherished memories for all who enjoyed them. She is also survived by two brothers, John Corcoran and wife, Mickey, Lancaster; and William Corcoran and partner, Dr. Eric L. Palladini, Washington, D.C.; and three sisters, Rosemary Newberry and husband, Joseph, Greenwich, Conn.; Nancy Monti and husband, Tom, Liverpool, N.Y.; Jane Briggs and husband, Graham, Needham, Mass. ; seven grandchildren, Ian, Jack, Grace, Kevin, Max, Annie, Ryan; and many loved and cherished nieces, nephews, grandnieces and grandnephews. The family will receive relatives and friends Tuesday from 4 to 7 p.m. at the Church of St. Gregory , 330 North Abington Road , Clarks Green. The funeral will be Wednesday with a Mass of Christian Burial at 10 a.m. in the Church of St. Gregory , to be celebrated by Rev. John M. Lapera, pastor, and concelebrated by Monsignor John H. Louis, pastor emeritus. Interment, Our Mother of Sorrows Cemetery , Finch Hill. The family wishes to thank all of the dear friends who cared for Alice throughout her illness, especially the staff and nurses at AseraCare Hospice, whose comforting care and compassion helped to enhance the quality of Alice 's final months. Memorial donations may be made to the Friends of the Poor, 2300 Adams Avenue, Scranton, PA 18509 .